Many people have used alcohol to advance their own creativity. Think of where Johnny Cash would be today if he did not drink: probably dead! Do you think Johnny Cash would have been any good if he weren’t beating up his liver like it was a scene out of a Tina Turner documentary? My gut feeling tells me the same thing my magic eight ball app on my Iphone does, “Outlook not so good.” My point is; it should come as no shock to hear that alcohol is the catalyst for this MDI. There is a global epidemic sweeping the world and it affects all of us. This pandemic is so dangerous, it makes Malaria shrivel up and cough. It chops the limbs off of leprosy. It even makes swine flu look like a made up disease by the government to stimulate the economy so we don’t spend our money on spring break in Mexico. Yes my friends, I am talking about Drunk Dialing. You might have heard of it, but might not be aware how it affects you. Have you ever had a few drinks and decided it was a good time to call your boss, your spouse, or your boss’s spouse and tell them something you should not tell them sober, let alone drunk? If you answered, “Yes;” Drunk Dialing might affect you. Have you ever been tanked and decided to call your ex to tell them you are sorry and want them back? Instead you get their machine and instead leave a 15-minute awkward message of non-cohesive blabber like you are Mike from swingers. If this has happened to you, then you might have the disease and not even know it. Aside from not being good for each other, and I found someone better, Madeupfacts.com credits Drunk Dialing as the #3 reason for breakups not given a second chance. This disease not only infects humans daily, it has mutated into another deadly disease, Drunk Texting. Drunken Texting is the SARS of the telephone. It is spreading rapidly, and everyone blames it on the Chinese. Today, this disease runs so ramped, the first thing people do when they wake up after a long night of drinking, is check their outgoing texts and calls from the night before. In the medical profession, this morning after activity is often referred to as Booze Clues. Here are some of my own drunken texts, I have found the next morning. So today I present to you, a product that is the cure for this growing life ruinous; The Drunk Dial Phone. 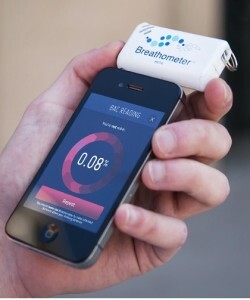 Utilizing today’s breathalyzing technology the Drunk Dial phone comes complete with a built in Breathalyzer that prevents you from using your phone if your blood alcohol level is over the legal limit. We at the Institute for People After Beer Shouldn’t Telephone (PABST,) are committed to the philosophy; when you breathe everyone’s at ease. We want to make sure; when you see double, there’s no trouble. The Drunk Dial phone will save millions from what we at PABST call the, “Day after regret.” Think of a world cured of 4:00 a.m. booty calls from someone you have not talked to in 3 years. Or, phone calls where the drunken caller treats the phone like the louder they shout into it, the better you will understand them. Imagine a world free of having to explain to your mom why you texted her the night before, calling her a stupid swamp donkey. Or being fired for calling your boss and telling them you want to staple a burning spreadsheet to their face. We at PABST are dedicated to a brighter tomorrow or at least one you don’t have to waste apologizing. Don’t wait, Get the DD phone today and put your worries away. Now available on the I-Phone.